Situated in a converted 18th Century church, Shireshead Studio features professionally designed fully soundproofed & acoustically treated recording spaces & control rooms. Silent air-conditioning throughout & ambient lighting provides a comfortable working environment. 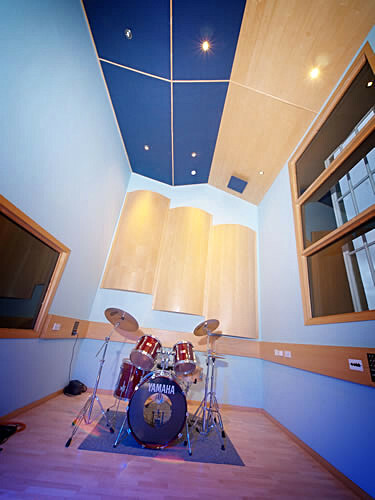 A large, airy live room with separate isolation booth allows most bands to be recorded ‘live’ before overdubbing begins. Studio One features a very spacious, comfortable control room which can double-up as an additional recording space. Studio Two offers a smaller control room with its own isloation booth for voiceover & production projects. 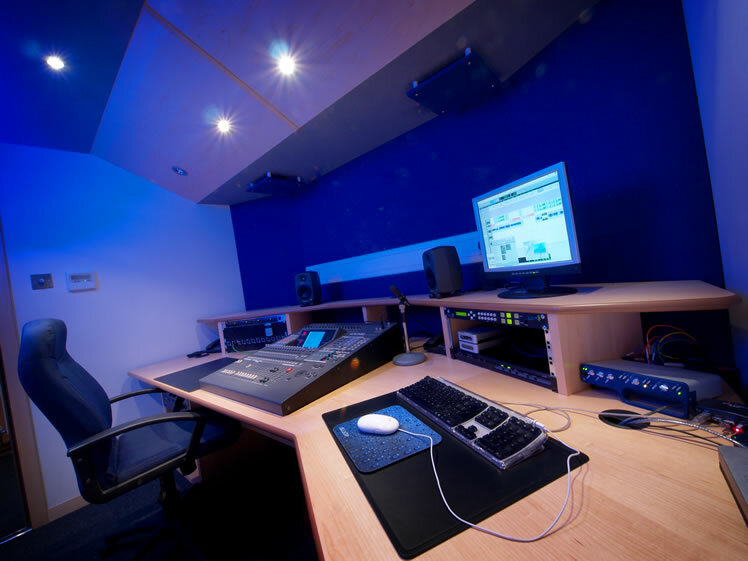 Both Studio 1 & 2 control rooms are equipped with ISDN & Source-Connect & phone-patch / Skype facilities for professional broadcast use.